The symposium was organised by the Riddet Institute of New Zealand sponsored by Zespri. Innuo was the agency in charge of the international science coordination and communication for the event. 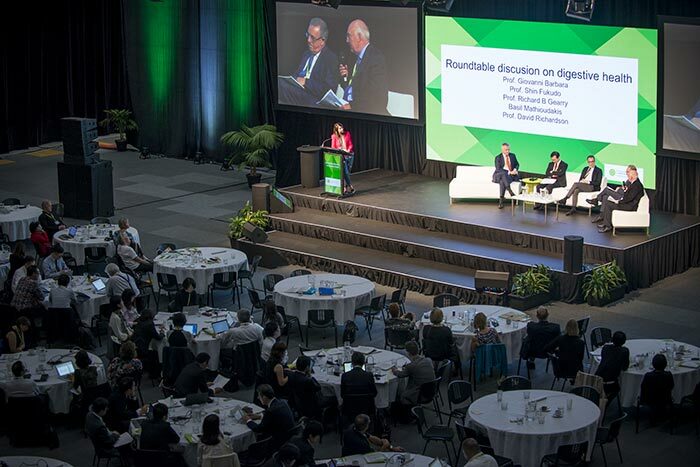 From 12 to 14 April, the 1st International Symposium on Kiwifruit and Health captured the attention of media outlets around the world in their printed and online editions, on the radio, on TV and especially on social media. This event brought together some of the most prestigious experts in the world in this field to analyse and share the latest scientific studies on the nutritional and health benefits of the kiwifruit. Some of the most noteworthy figures included Professor Jacob Seidell of VU University Amsterdam; Lynley Drummond, director of the Drummond Food Science Advisory; Dr Anitra Carr, researcher at the University of Otago; Dr Jordi Serra, specialist in Gastroenterology at the Germans Trias i Pujol University Hospital in Badalona (Barcelona); and Dr Chwang Leh-Chii, president of the Asian Federation of Dietetic Associations. More than 450 articles have been published in traditional media outlets and 775 on social media, with a potential reach of more than 4.7 billion people, figures that reflect the symposium’s success. In Spain, Facebook posts reached 445,414 people, with more than 5,000 “likes” and 6,000 shares. On Twitter, the tweets were seen 458,733 times and retweeted on 567 occasions. Furthermore, Innuo also created the global website http://www.kiwifruitsymposium.org featuring all of the talks, abstracts and graphic materials from the symposium.